Whether you color your hair at home or have it professionally done, your dark hair can fall victim to brassy roots. This problem can occur with any color. It is most noticeable in hair that is colored blonde, but that's only because it's more easily seen. 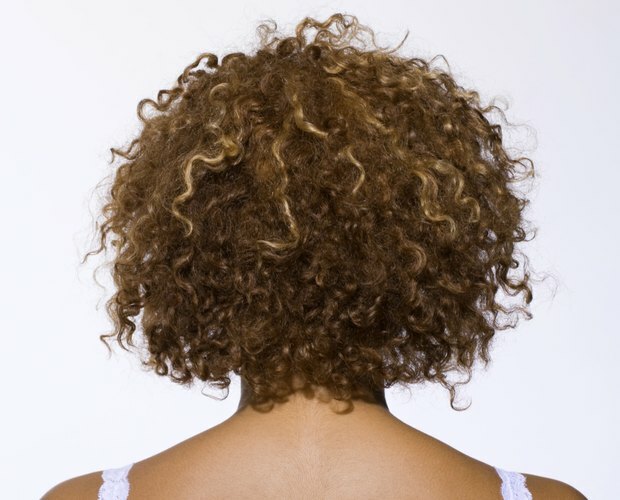 Brassy roots can also be a problem for dark-colored hair. Hair is prone to brassy roots when the hair color you've used does not completely lift and replace the color in the hair shaft. This can result it red or orange undertones that manifest at the roots, since the rest of the hair is more porous and absorbs the color better. Purchase a shampoo and conditioner at your hair salon or beauty supply store that is designed to remove brassy tones from hair. These products are blue or violet in color and work to counteract the red and orange tones in hair. Follow the first shampoo with a hair toner for cool coloring. 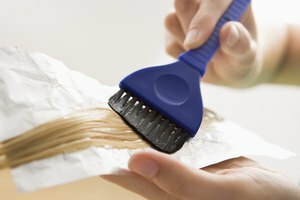 This will help to remove the warm tones that make the roots brassy. Purchase this at your hair salon or beauty supply retailer as well. Apply this carefully with rubber gloves to avoid staining clothing and skin. Toner applications will last through several weeks of shampooing and eventually wash out. Reapply the toner if the brassy color reappears. Shampoo daily with the shampoo for brassy-tone removal until the roots return to normal. Do not recolor your hair during this time. Follow daily shampooing with the conditioner for color-treated hair brassiness. 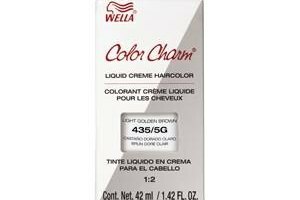 This will avoid continued stripping of the root color that creates brassy tones. Check your water. A high iron content in water contributes to brassy colors in your hair. Use a water softener that contains an iron filter to avoid this. When coloring your hair, always apply the color to the roots first so the inch closest to the scalp has more time to absorb the color. 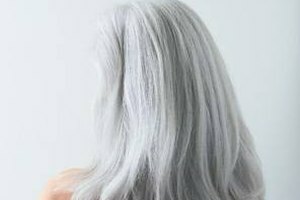 Use a conditioner several days before you color to practice parting the hair and applying solution to the hair roots all over your head. Avoid overexposing your hair to the Sun, which can cause brassiness in color.